Create and connect: Dr Justin Coulson and DUPLO® reveal what playtime means to a toddler. With recent research revealing toddlers are engaging with screens around 12-14 hours per Week and motor skills declining due to tablets and smartphones replacing physical play, LEGO® Australia has teamed up with creative play and parenting expert, Dr Justin Coulson to discuss the importance of connecting with your toddler through play. According to Dr Coulson, creative play - the kind of play where children connect with others and use their imagination and their hands – leads to great learning outcomes. "There's an important reason play matters so much to young children. Research shows that they need it to thrive (as do we). In fact, play is one of the most essential experiences children can be immersed in to equip them for later life. The more they do it, the better off they may be. "When screens and social media are kept to a minimum, play stimulates growth and learning that children simply can't get in other ways. I'm talking about the kind of play that connects and creates. It's the kind of play where kids call out, "Mum, look what I made", or "Dad, can you build this with me?" Relatedness - Creating real connections and develop relational skills, learning how to communicate, managing conflict, collaborating, and bonding with parents, siblings, and friends. Competence - The best kinds of play are not about consumption, but creation, enabling kids to explore the limits of their physical surroundings, and experience a sense of competence when they succeed – which makes them feel motivated and happy. Autonomy – Toddlers develop a sense that they're in control when they play. They do what feels intrinsically motivating – it makes them confident, resourceful, and resilient. Question: Why does learning and playing need to be intertwined? When children feel good, they learn well. When they feel bad, they rarely learn at all. There's an old Finnish saying that "those things you learn without joy, you will forget easily." The best learning happens when kids are exploring and being creative, and that is most likely to be when they play. Question: Can you share with us the outcome when learning and playing are combined? Dr Justin Coulson: When learning is playful and positive, we light the flame of curiosity in ways that rarely happen when 'learning" is rote, boring drudgery. Question: How does screen-time cause motor skills to decline? Dr Justin Coulson: We don't know much about this mechanism other than to suggest that if you don't use it, you lose it. And since time on screens means time NOT doing motor-skill-developing activities, then motor skills atrophy. 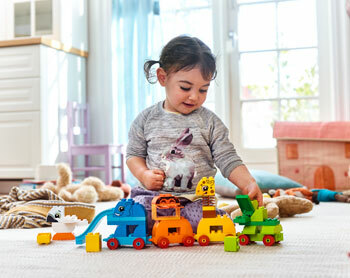 Question: Why is DUPLO® the perfect toy for development and learning? 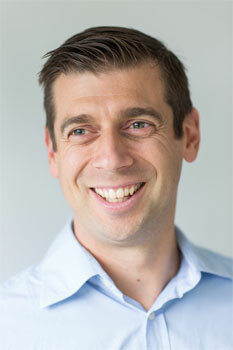 Dr Justin Coulson: DUPLO is perfect because it is something that is open-ended. It allows for unlimited creativity. It can be child-led. It doesn't have distractions and bells or whistles. Instead it's about going slow, using imagination and literally building something tangible. It allows for tremendous levels of interaction and engagement with others which is so important for social skill development. It offers variety (in terms of both the product itself as well as the opportunity for extending imagination). And it's one of those things that kids never get bored of. In short, it's fun, and while kids play they can learn about engineering, physics, maths, and countless other 'academic' ideas in a practical sense while also enjoying all of the benefits I've just described. Question: How does creative play help give toddlers the greatest head start in life? Dr Justin Coulson: Ultimately it's because it feels good. Kids develop a sense of competence and mastery which is a fundamental human need. This boosts confidence as well as the specific skills associated with the activity itself. It provides them with a feeling of autonomy and volition. As they play creatively, this means that they feel as though they're in control of their lives rather than being controlled. This is vital for creating a sense of self-efficacy. And creative play usually involves others, so it builds important social resources that will always be an asset to kids. Question: What tips can you share around creative play? Dr Justin Coulson: Put the screens away and do something creative. Grab LEGO or DUPLO and build a tower (or something way cooler), make a cubby house with cushions, boxes and blankets, or make something in the kitchen. Let your child take the lead. The more you can encourage and support their autonomy, the more they'll explore, create, and remain motivated. Role Play. As children 'pretend' to be the horse or the mum or the teacher, they develop cognitive, relational, and communication skills.